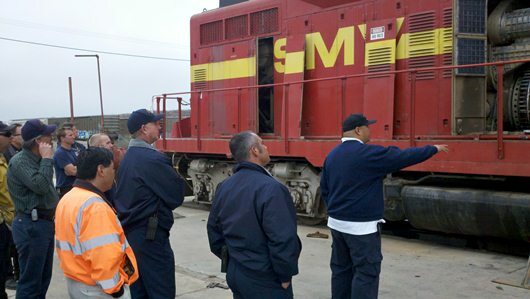 The Santa Maria Valley Railroad hosted a TRANSCAER HazMat Safety Training program at its headquarters yard in Betteravia. 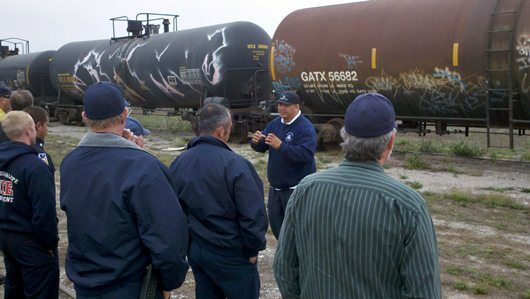 TRANSCAER (Transportation Community Awareness and Emergency Response) is a voluntary national outreach effort that focuses on assisting communities to prepare for and to respond to a possible hazardous materials transportation incident. 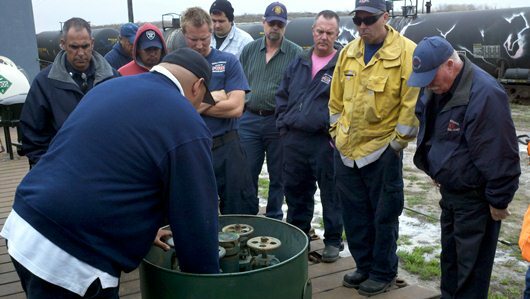 TRANSCAER members consist of volunteer representatives from the chemical manufacturing, transportation, distributor, and emergency response industries, as well as the government. 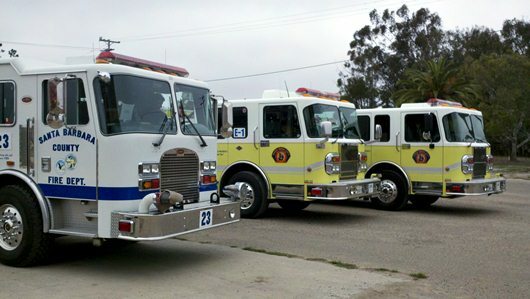 Regional first-responder organizations (fire departments, hazmat teams, etc.) attend these training sessions. 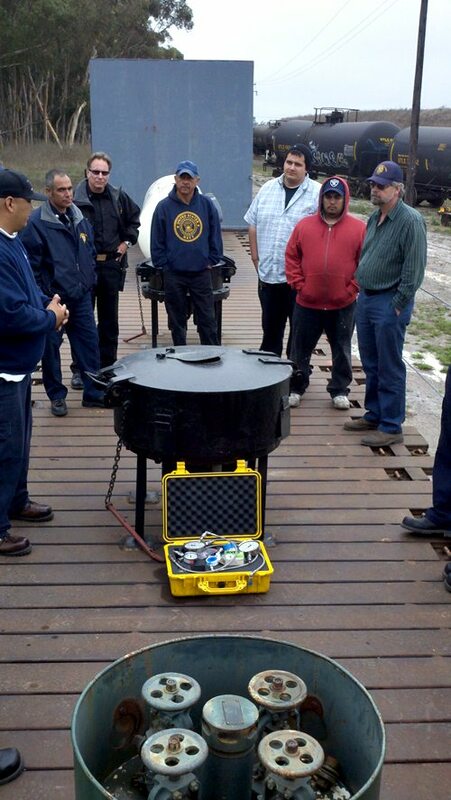 The topic of these sessions at the Santa Maria Valley Railroad: anhydrous ammonia. 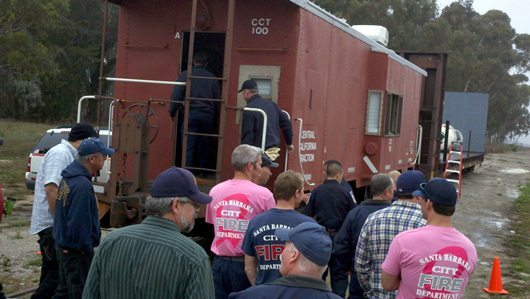 The TRANSCAER train is made up of a classroom caboose and a demonstration flatcar. 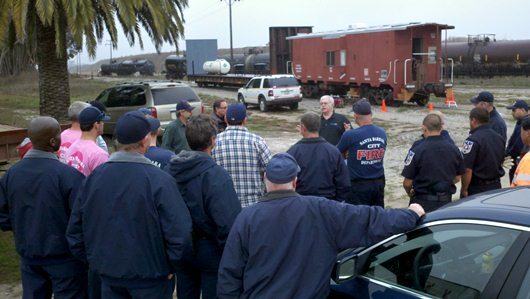 As with all railroad activities, the session began with a job/safety briefing lead by Dave Buccolo of the Central California Traction Company, regional director for TRANSCAER. The flat car is equipped with mockups of three different tank car tops and a typical storage tank.